Is Google blocking ad blockers or is this another code update that's caused a bug? Nobody knows yet. With various websites experimenting with blocking ad blockers, now is not a good time for a major site to quietly clash with a major ad-scrubbing utility. But that’s exactly what happened recently when users started complaining that Adblock Plus was not working in some instances with YouTube. After that brief interruption, the video would playback normally. What’s odd about this behavior is that ABP usually blocks pre-roll ads completely, allowing users to jump right into their selected video. It’s not clear what’s causing the issue. The most far-fetched suspicion is that Google plans to experiment with getting around ad blockers or blocking ad blockers outright. Others suggest that the YouTube Chrome app is interfering with the extension, as happened in September when a security fix created a bug that stopped ABP from blocking ads. In my tests, I was unable to replicate the issue, but it may not be that easy. On Reddit and the ABP forums people have reported that the issue happens while logged in to some Google accounts and not others. It’s also not clear if this is a browser-specific issue. Some people are coming across the issue on Firefox, while Venture Beat, which first reported on the issue, found it only happened on Chrome. The impact on you at home: If you are experiencing a clash between ABP and YouTube there are a few things you can try. One suggestion is to uncheck all options in your Google Ads settings and install Google’s DoubleClick opt-out extension. Others found they could fix the issue by disabling and then re-enabling ABP. Another suggestion is to remove the Chrome YouTube app from the browser, then clear the browser cache and cookies. 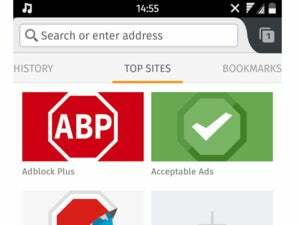 It’s not clear if the issues are on Adblock’s side or YouTube’s. We’ve contacted both parties for comment.